New York, April 1 2015 — Boundless Markets announced the launch of revolutionary software that requires virtually no human involvement to achieve significant marketing results. The technology, called Boundless One, combines marketing automation, programmatic media buying and predictive analytics with a proprietary algorithm that creates personalized messaging. 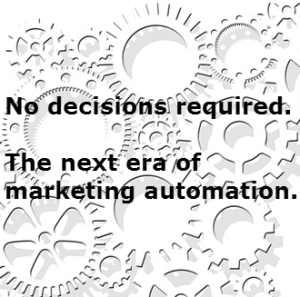 The system provides robust software that drives marketing execution, with no human interaction whatsoever. The technology enables customers to efficiently manage, execute and optimize marketing programs across multiple channels including email, web, mobile, events, and social media with the single click of a mouse or voice activated command. The Boundless One system, in effect, makes decisions for people. It uses statistical modeling to identify the best prospects for a product or service and, based on engagement data, dynamically creates messaging targeted to specific audience segments drawing from a large library of phrases, customizable ads and video templates. Automatically, the software conducts online media buys with real-time bidding and program optimization. Ads are displayed on mobile and online ad networks in addition to paid search and thousands of email newsletters. Videos are automatically embedded on partner sites and posted to social networks at the optimal time of day. User interaction data is then combined with transactional data and demographics to launch trigger emails to dynamically created audience segments. On the fly segmentation and personalized messaging is the heart of the Boundless One system, which integrates with Salesforce.com, Eloqua, Madison Logic, Sail Thru and many other partners. An API is available and 350 agency partners have been participating in beta testing. “This technology does for marketing what Ford did for manufacturing with the assembly line, but goes even further because now machines can govern the entire process” said Boundless Markets Vice President April Riddles. The startling announcement was symbolically made this morning at Ford Motor Company headquarters in Dearborn, Michigan. The product roadmap for Boundless One also includes No-Hands Strategy and No-Hands Sales, both of which will require little if any human involvement. These launches are expected in exactly one year: April 1, 2016. How Much Data Discipline Does Your Marketing Have?